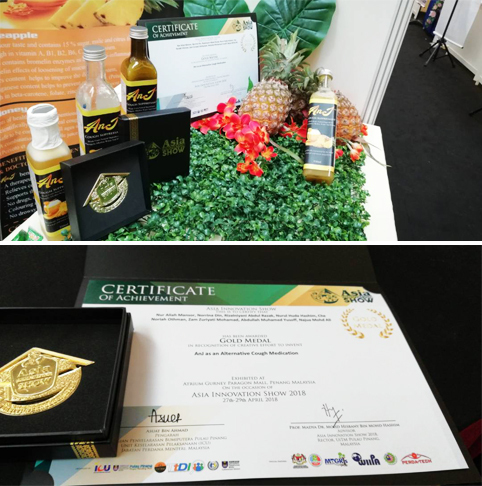 Lecturers from the Faculty of Business and Finance, namely Rizalniyani binti Abdul Razak and Dr Zam Zuriyati binti Mohamad were awarded gold medals at the Asia Innovation Show 2018. The show was held at Gurney Paragon Mall, Penang from 27 to 29 April 2018. Titled “AnJ as an Alternative Cough Medication”, the research was collectively conducted by Rizalniyani, Dr Zam, Faculty of Hotel and Tourism Management of Universiti Teknologi MARA (UiTM) Pulau Pinang lecturers Norrina binti Din, Nurul Huda binti Hashim, and Najua binti Mohd Ali; Faculty of Pharmacy of UiTM Pulau Pinang lecturer Che Noriah binti Othman; and Faculty of Hospitality, Tourism and Wellness of Universiti Malaysia Kelantan (UMK) lecturers Nur Aliah binti Mansor and Abdullah Muhamed bin Yusoff. The product development was conducted by lecturers from UiTM and UMK whereas Rizalniyani and Dr Zam was responsible for logo and package design and product commercial value. They walked away with a certificate of achievement and gold medal each. The research product, AnJ, was an innovative effort of the team members in offering an alternative remedy for cough. As innovative researchers, the team members hope the product could offer a little help to the society and nation toward achieving a healthier lifestyle. Organised by the Bahagian Penyelarasan Penyertaan Bumiputera Pulau Pinang and Universiti Teknologi MARA Pulau Pinang and Kedah, the Asia Innovation Show 2018 showcased both Innovation Show Competition and Invention & Innovation Conference. 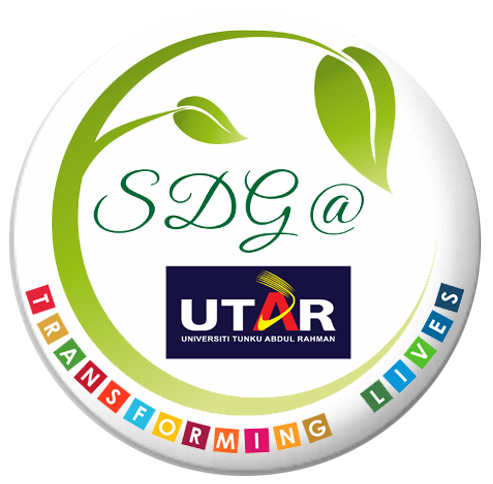 It was a global platform for all the researchers to market and promote their new and fresh innovations to the world. The show, which was held for two days, provided inventors and researchers an opportunity to reveal their ideas and products to manufacturers, investors, distributors and the general public. It was also open to undergraduate and postgraduate students, academics, researchers, manufacturers and industrialists.